May was an exciting and at the same time, sad month. As I live in Manchester, I was very close to the attacks on 22th May, which deeply affected lots of us, but we saw the spirit of this city with its reaction of solidarity. From here I would like to show my support for the victims and my condemnation of such an act of violence. Of course, terrorism doesn’t stop our style of life and we all continued working and living. It could not eclipse an exciting month of May, full of creative events. 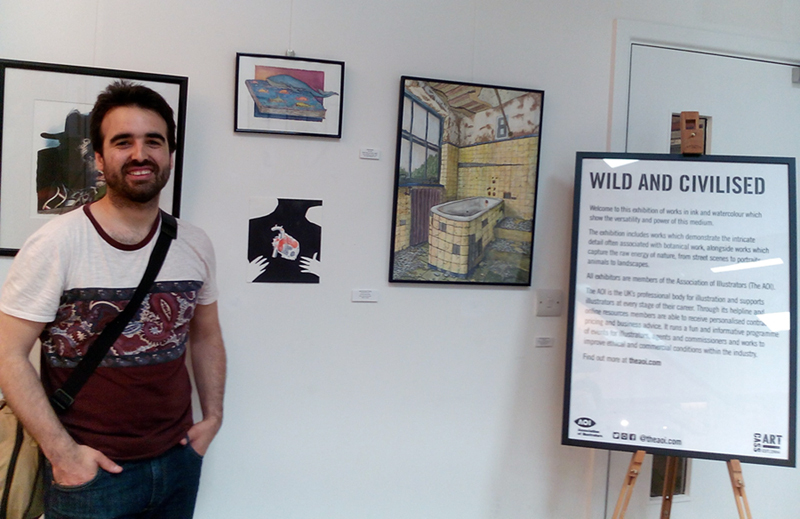 Thanks to The Assotiation of Illustrators (The AOI), I was able to attend two of them in the same month, both in London and Manchester, as well as participate in a collective exhibition also in London. I then cite the three events and then summarise my experience with each of them, as well as give as many data and links as possible to expand information. 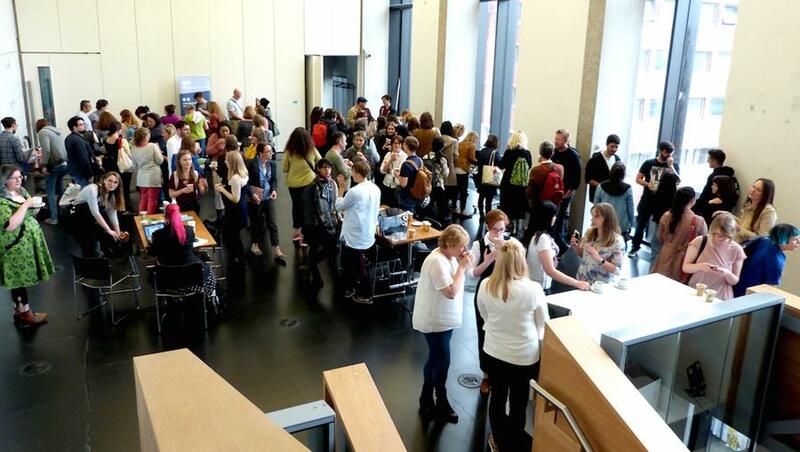 This conference is already the fourth that Picture Hooks has organised, but this time it had the peculiarity that it has joined The AOI and also that it is the first time that it was held in England, taking place in the Manchester School of Art. 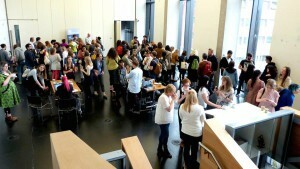 Honestly, I was very fortunate to reside in Manchester and to be able to attend this complete conference, where they gathered many professionals who shared advice on how to promote the work and look for commercial alternatives, as well as to show their experiences on the ins and outs of the illustrated book industry. Vivian French: The co-founder of Picture Hooks and a widely celebrated autor with over 250 books published. Jonathan Gibbs: Head of Illustration at the Edinburgh College of Art and a freelance illustrator. Tessa Strickland: Co-founder of Barefoot Books, writer and editor. Tiffany Leeson: The Creative Director of Egmont Publishing, the UK’s leading children’s publisher. Robert Frank Hunter: London-based illustrator known for his use of bright colours and borrowing from old folkloric imagery. 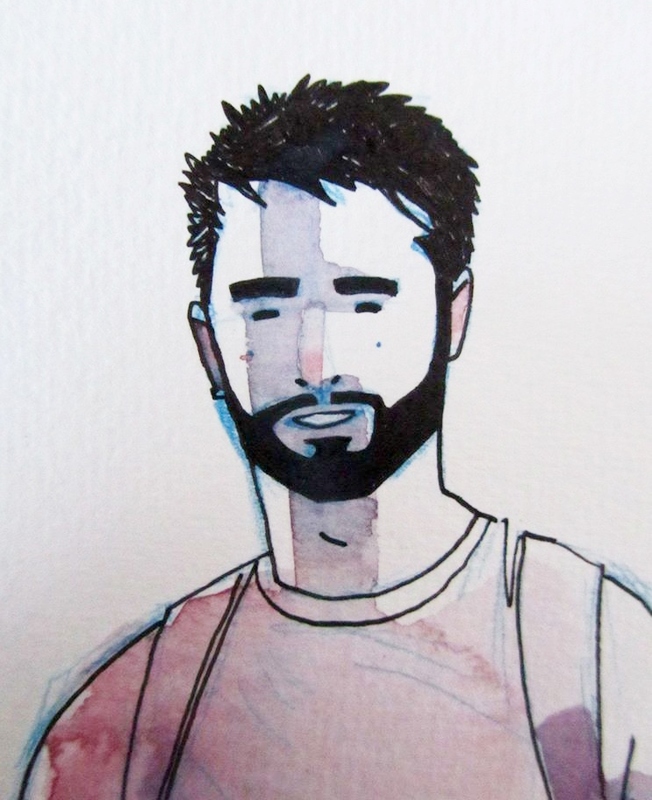 He has published a number of books, including Map of Days and The Land of Nod (Nobrow). 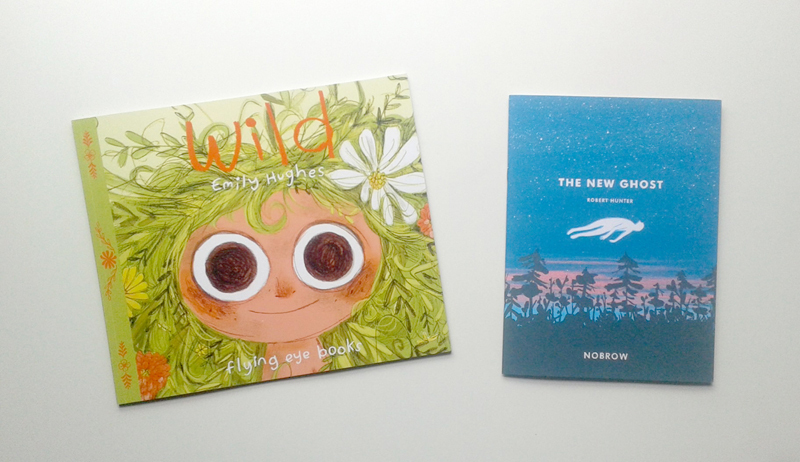 Zoe Aubugeau-Williams: The Marketing Co-ordinator of Nobrow Press, a publishing house dedicated to publishing books that showcase groundbreaking graphic arts, and its children’s imprint, Flying Eye Books. Amy Veried: Freelance illustrator and Junior Agent at Handsome Frank, an agency that represents contemporary illustrators. Matthew the Horse: A self-described Illustrator-Educator-Poet who divides his time between producing illustrations, teaching at Leeds College of Art, and writing. His work is recognisable for its combination of vivid pop colours and a handdrawn aesthetic. Sonny Ross: Commercial illustrator whose work is characterised by bold but restricted color schemes and compositions inspired by Renaissance art. Lou Bones: Membership Manager in The AOI, in charge of membership services; advice on contracts, pricing, ethics and professional practice. During the breaks where the organisers offered coffee and snacks, we were able to do some networking and meet people, as well as have a look and buy some books from the authors and publishers mentioned at good prices. I could not resist and I bought ‘Wild’ by Emily Hughes and ‘The Ghost’ by Robert Hunter. ‘If you don’t ask you don’t get’. Of the afternoon talk with Lou Bones and Amy Varied, Matthew the Horse and Sonny Ross. It comes to say that if you do not agree with any part of the negotiation or contract do not be afraid to ask for what you believe fair. ‘Never work for free’. This is obvious, but I feel compelled to stress the importance of this. It is damaging for you and for the profession to work for free. ‘It’s not a race. Invest time. Quality is king’, Matthew the Horse. This is one of my favourite ones. So, use it! ‘Agents often encourage illustrators to work in one style with one publisher and a different style with another publisher’, Tiffany Lesson. For those of us who like to do different styles this could be a good idea or even a solution, as sometimes this can be a kind of problem. Well, this concludes the part about the talk Inside Publishing: An illustrator’s conference. The next step was to travel to London because I was taking part in the exhibition WILD AND CIVILIZED at Cass Art London, to visit it and spend a few days with my mother, my aunt and some friends, the nexus in common of this exhibition was the technique in Ink and watercolor and it was an opportunity that TheAOI gave to its members. 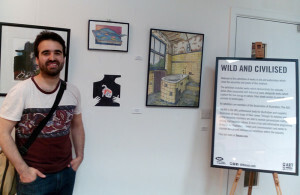 It was the first time I exhibited in London, so it was a perfect opportunity to stop by and see the work of other artists. The work with I participated was the illustration that was published in the magazine ‘Hyperkulturemia’, title that makes reference to the Syndrome of Stendhal, which it inspired to me to create the work. 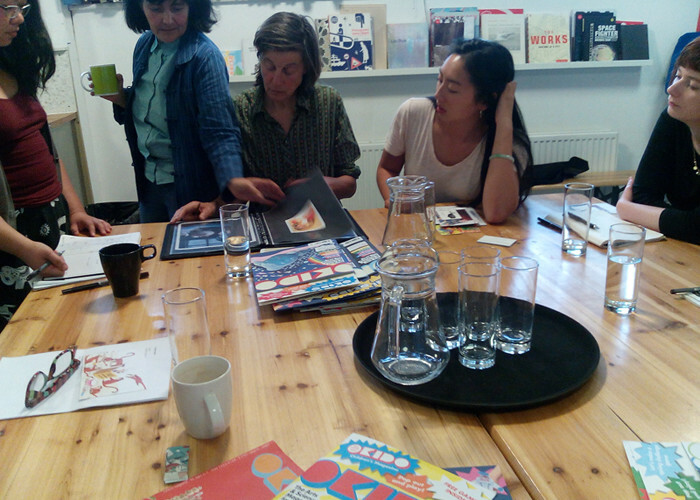 Since I had traveled to London, I applied for a portfolio review that was also organized by TheAOI at the headquarters of the children’s magazine OKIDO (monthly publication of science and art aimed at 4 to 8 year olds), where we were received by publishers Sophie Dauvois and Maggie Li, along with Fig Taylor, writer of the guide ‘How to create a portfolio and get hired’ and portfolio advicer in TheAOI. With them we were about eight illustrators with our portfolios, each one had its turn to show their work and to receive feedback from all. Sophie and Maggie told us the beginnings of the magazine and how they have grown to be a monthly children’s magazine relevant and published in several countries, in addition to a series of cartoons on TV. We were able to look at some examples and see how important the illustration is to them, full of games, activities and comic strips. After this, we started the portfolio reviews. Fig recommended separating markets in the portfolio (children or adults) and that focusing on the unique style to succeed as an illustrator is still important but in the case of those who deal with different styles is enough that the styles are well separated. In my case they told me that I had a well-assembled portfolio and that despite having different styles, there is maturity in each of them and it shows homogeneity, so I will try to continue working on this line. They also advised that when sending e-mails or prints we should try to demonstrate to the client how we would meet their needs. Do your work properly and ensure the accuracy of any contact names you are writing to. This may seem obvious, but it is important to remember these details. After the talk we were invited to visit the studio where they make the OKIDO magazine and produce the animated series, which told me that they are in the process of being able to export it to Spain. 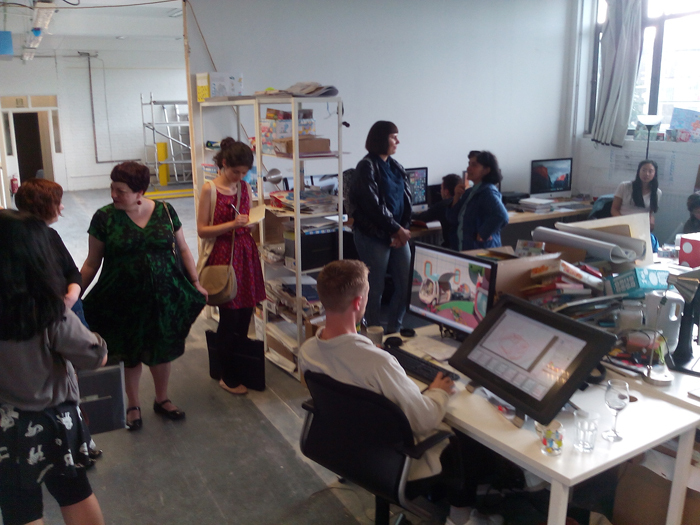 After this we said goodbye, it was a very pleasant visit and they were very kind, it was also great to get to know the team and the other illustrators. Well, this has been my experience. Thanks to all the organisers and people I’ve met, especially The AOI, Picture Hooks, Fig Taylor, Sophie Dauvois and Maggie Li.